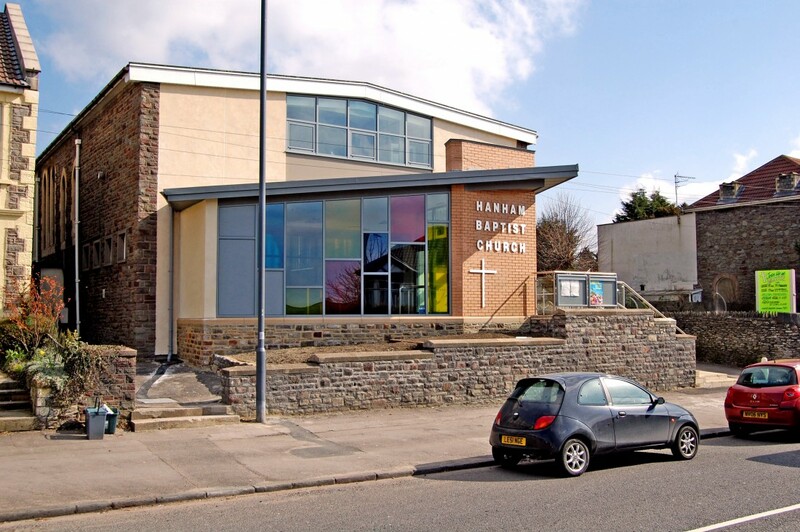 The modern day chapel was constructed in 1972 on the site of an original chapel dating from 1714; it is located on a busy vehicular thoroughfare between Bristol and Bath. 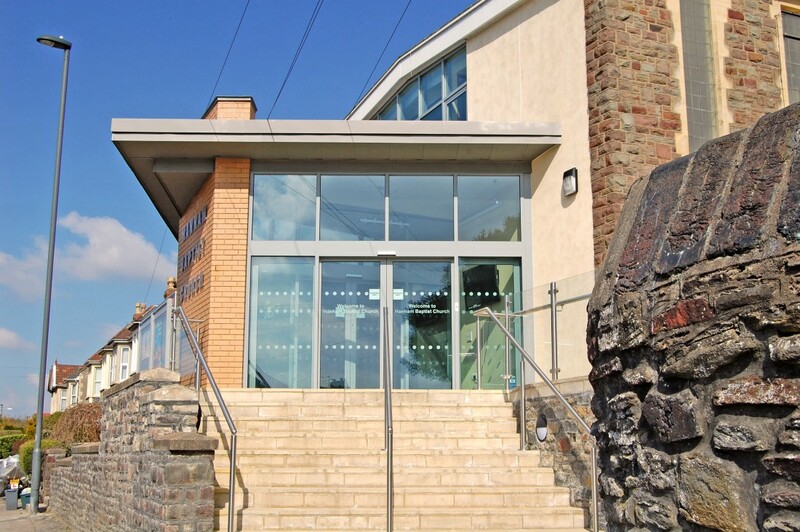 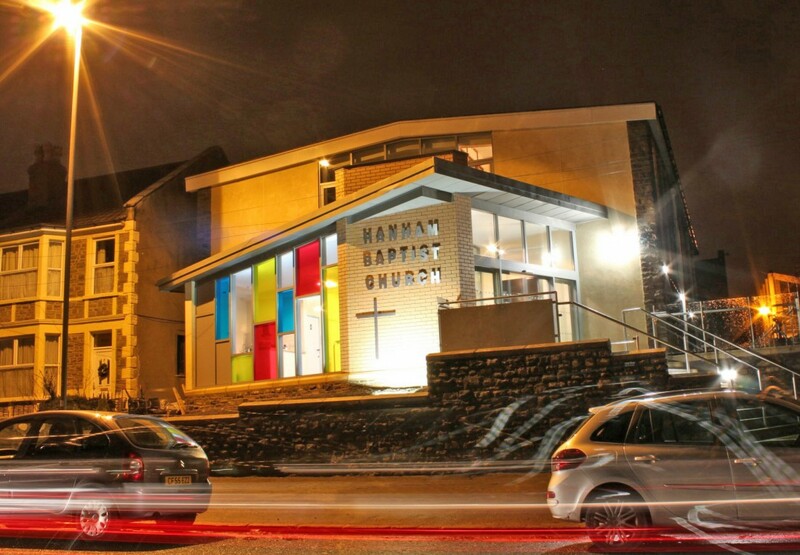 As the Architects for this project, our brief was to improve the street presence of the church; provide an enlarged lobby area to form an entrance cafeteria; provide improved disabled access to the main entrance and improve the energy efficiency of the existing building. 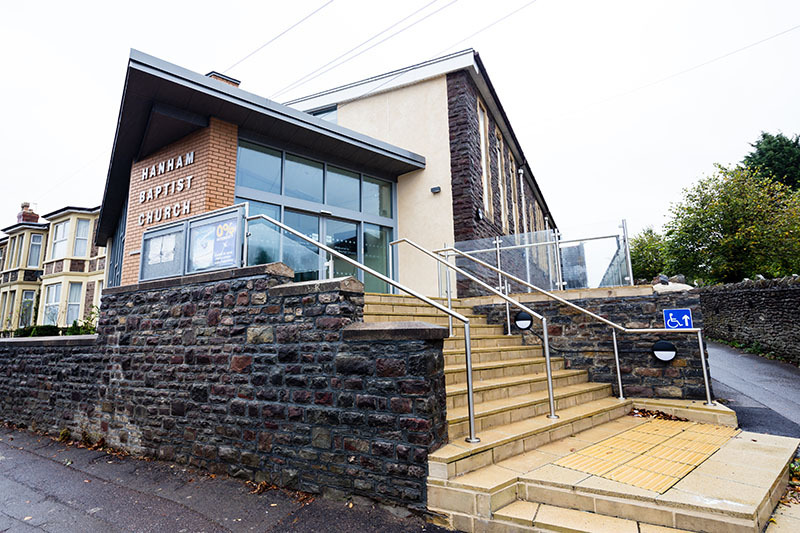 The angular layout of the new entrance reflects the church’s wish to attract the attention of Passers-by heading to both Bristol and Bath; therefore the building addresses both street directions. 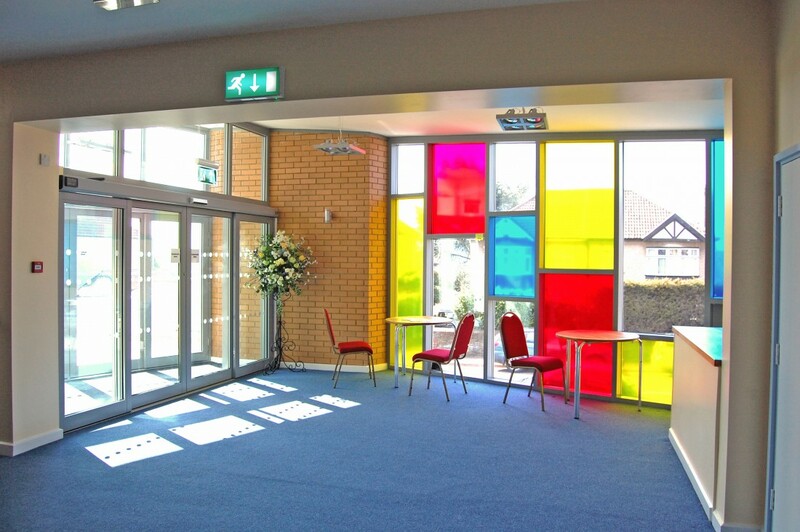 The substantial glazing is intended to make the Church’s activities more transparent from the street, whilst affording visitors to the building views into the cafeteria area as they approach the entrance. 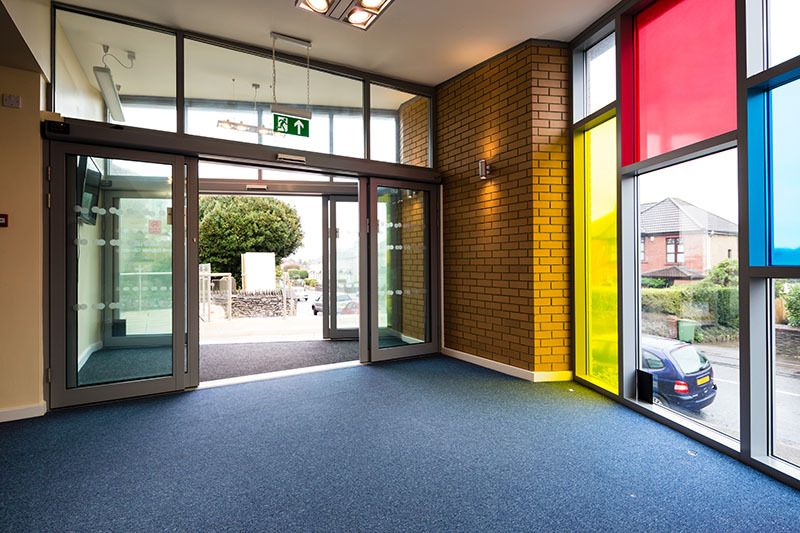 The scheme improves the energy efficiency of the building by applying new insulated render and high performance solar-reflective glazing; firstly improving running costs and secondly bringing a space which overheats in the summer into comfortable year round usage.